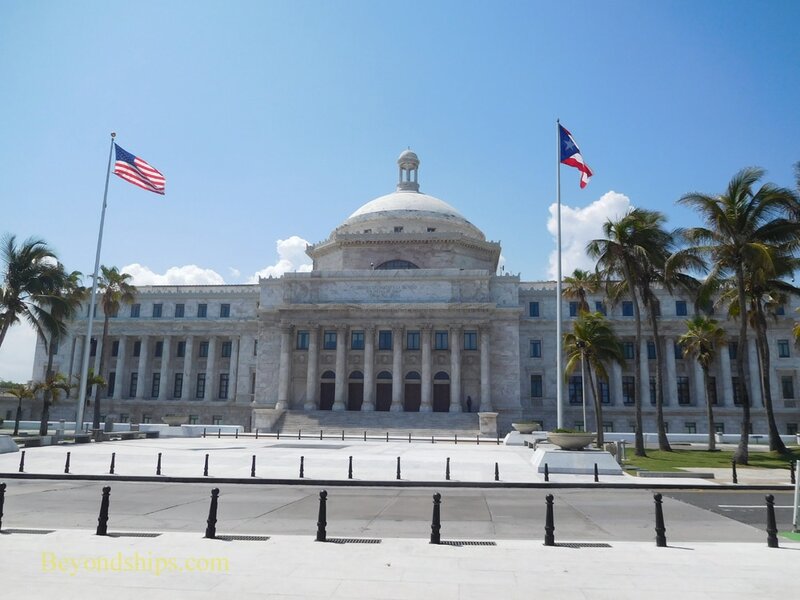 An eye-catching landmark on the San Juan skyline is El Capitolio, the capitol building of Puerto Rico. 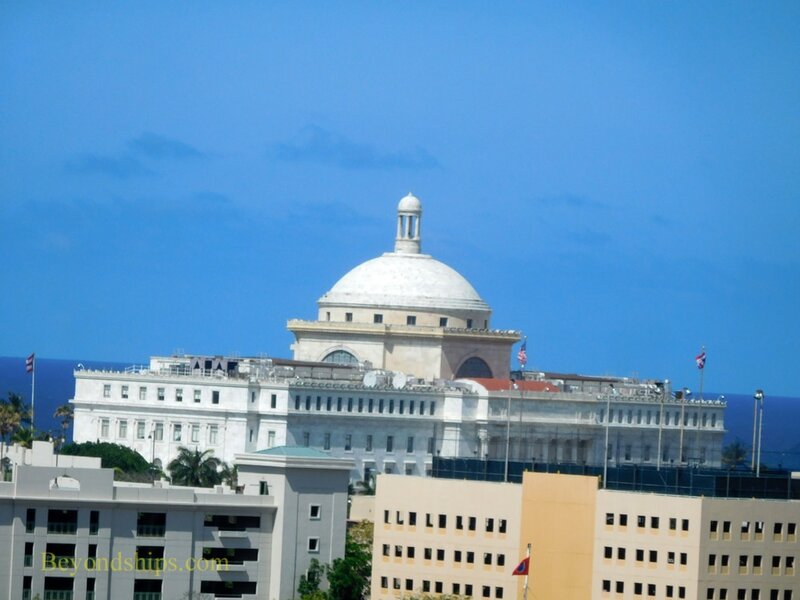 It is located not far from the cruise ship piers in Old San Juan, just east of the fortress of San Cristobal. 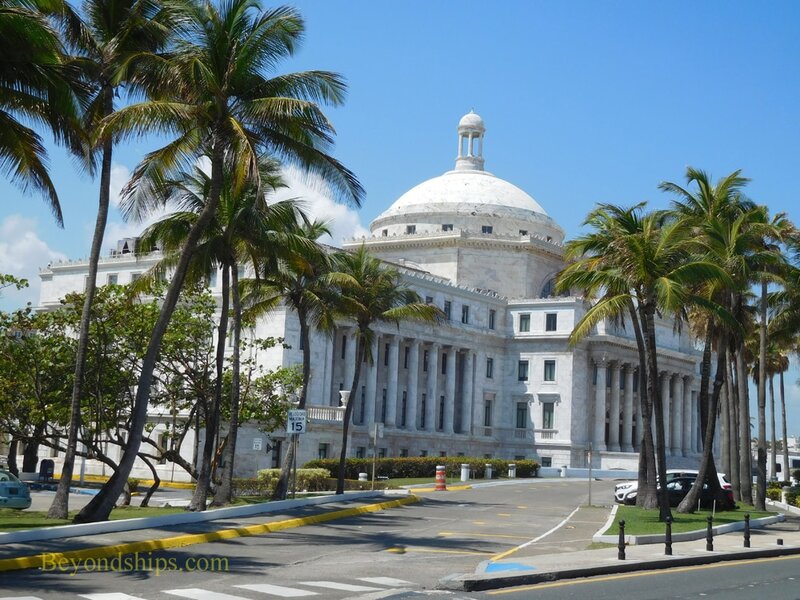 In 1907, Resident Commissioner Luis Munoz Rivera proposed the construction of a capital Building for Puerto Rico. It would be a symbol of civilian government that would house the island's senate, house of representatives and supreme court. Various designs were considered for the building. However, the final design was based upon a design submitted by Puerto Rican architect Rafael Carmoega. Work began on the building in 1925 and it was inaugurated in 1929. However, the impressive dome on the building was not completed until 1961. The building is done in the Neo-classical Revival style. The front of the building is the north side facing the Atlantic Ocean. However, the south side is just as impressive with a massive staircase leading up to five great doors set between eight pillars. Inside the building is similarly impressive. In the center is a marble lobby. 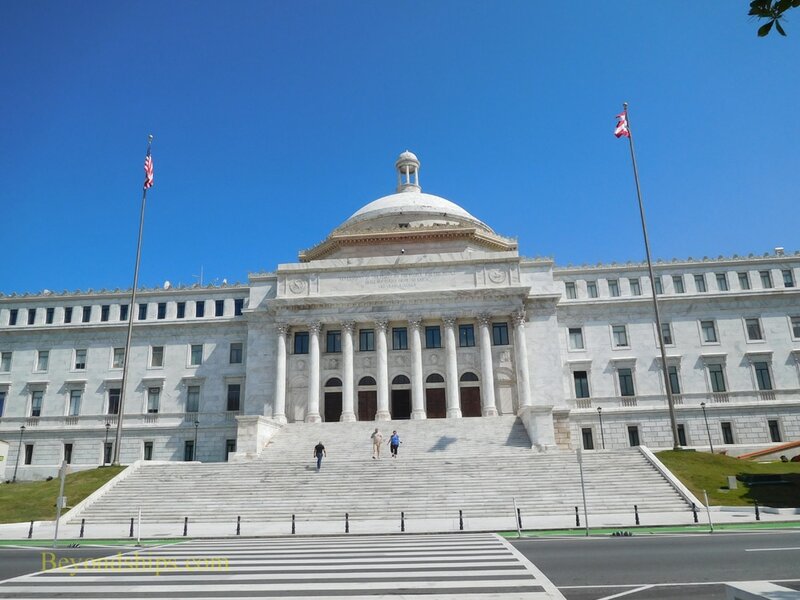 Red marble pillars lead up to the dome, which has been decorated with allegorical figures and scenes from the history of Puerto Rico. 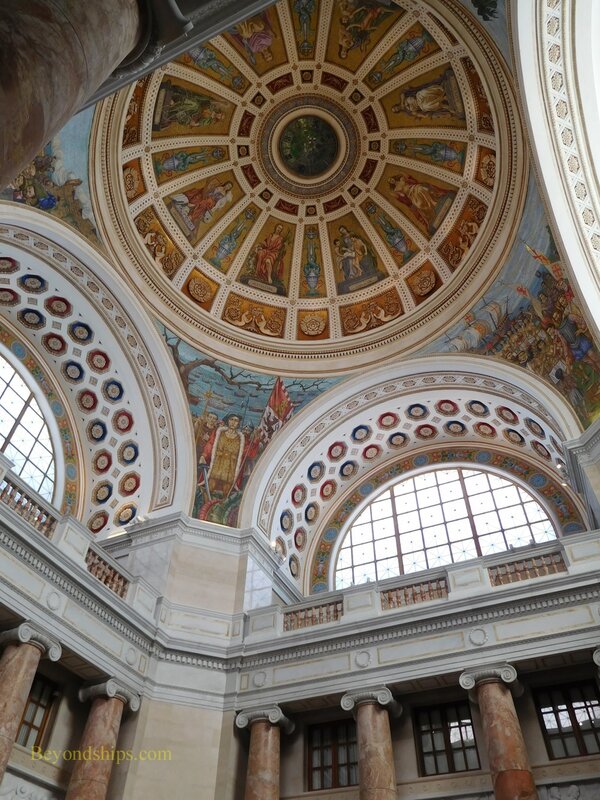 Beneath the dome in the center of the room is an exhibit on the Constitution of Puerto Rico. On either side of the rotunda are the legislative chambers. These can be viewed when in session from the viewing galleries on the third floor. Across the street from El Capitolio is San Juan Bautista Plaza. 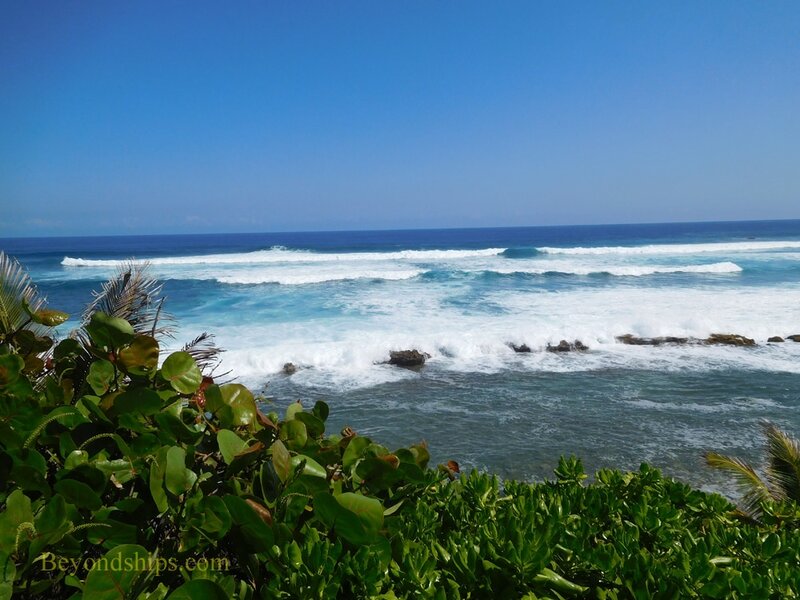 Not only does this offer a good view of the building but also the views of the large Atlantic waves crashing against the coast are spectacular. A staircase leads down the hill to the shore known at Playa Capitolia (also called Playa Bajama). On the south side of the building are a number of monuments including a war memorial and the San Juan Holocost Memorial, which was inaugurated in 2012. 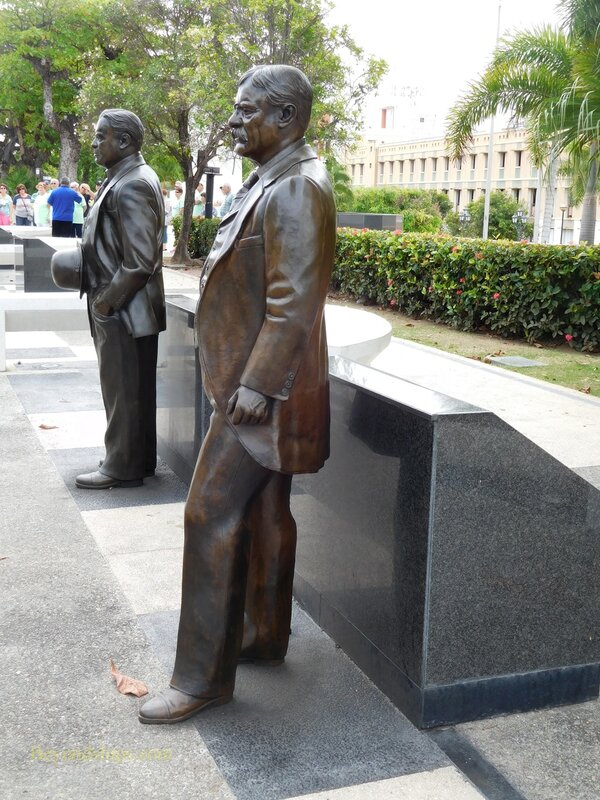 Also of interest is the Paseo de los Presidentes, a line of life-size statues of United States presidents who have visited Puerto Rico. 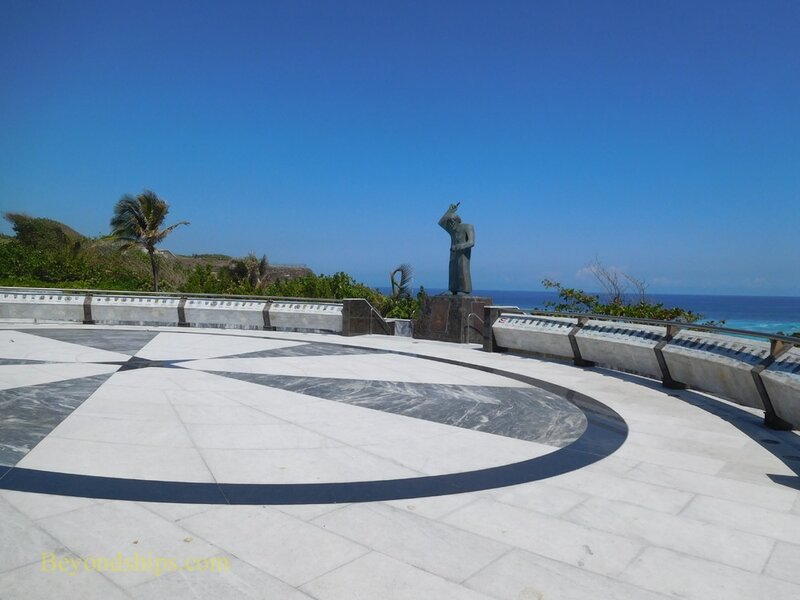 The nine statues are somewhat controversial because although they are American citizens, residents of Puerto Rico cannot vote in United States presidential elections. ​El Capitolio is open to the public. Free tours in both English and Spanish can be arranged through the visitor office on weekdays. Above: The north side of the capitol. Above: The rotunda of the capitol. 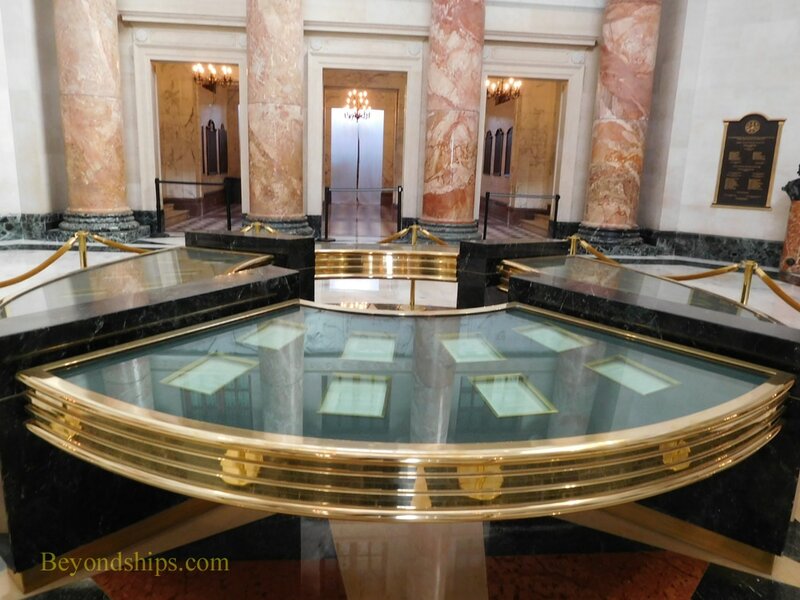 ​Below: The display of the Puerto Rican constitution. Above left: San Juan Bautista Plaza. Above right: The Atlantic coast from the Plaza. Left: Statues on the Paseo de los Presidentes. 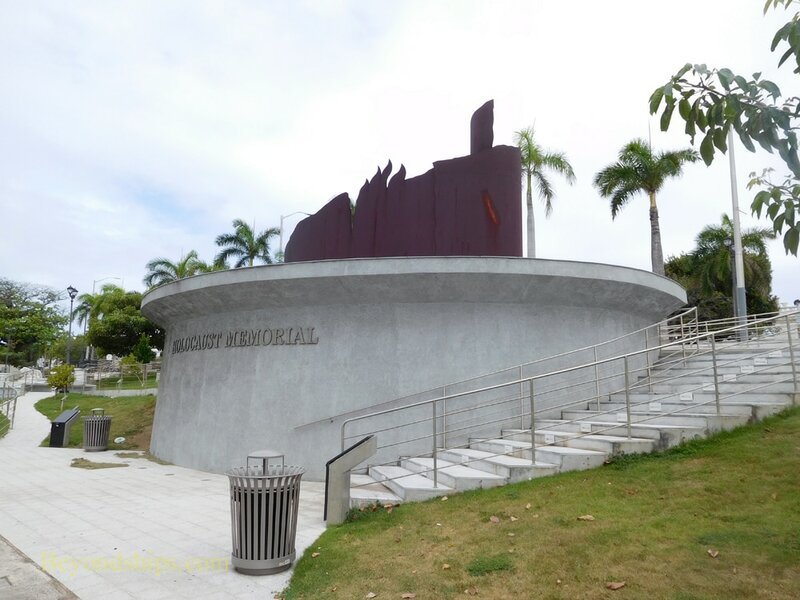 ​Below: The San Juan Holocaust Memorial. ​Above: El Capitolio from the cruise port.